Cui-ui (Chasmistes cujus), Marble Bluff Dam, Nevada. Photo: Kelsey McCutcheon. Males are black or brown above and white below. During breeding season (April to June), red or brassy colored on sides. Large, down-turned mouth with thin lips. Cui-ui are an especially interesting fish because they are endemic to Pyramid Lake and the lower Truckee River — found nowhere else on earth. These fish were (and are) very important to Pyramid Lake Paiute Tribe, whose traditional name Cui-ui Ticutta (alternate spelling: Kuyuidikado) means “Cui-ui eaters”. 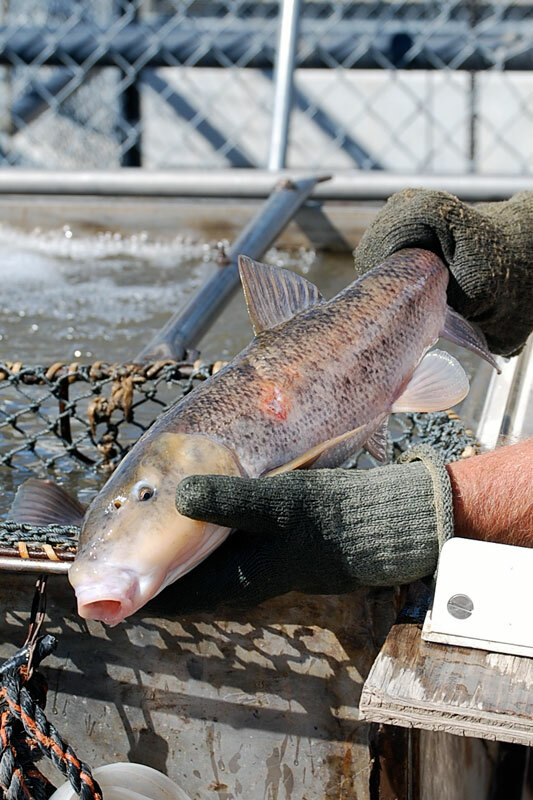 Cui-ui have good-tasting flesh, and were easy to catch during spawning season (mid-April to June) when they would gather in the lower Truckee River to lay and fertilize eggs (Rivers 1994). Eggs hatch one to two weeks later, and tiny larval Cui-ui are carried back to Pyramid Lake with the river current. 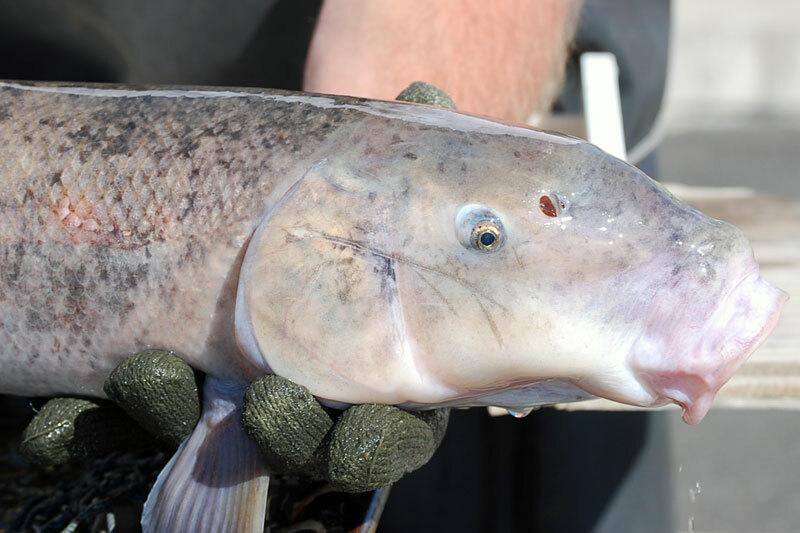 Cui-ui have a lifespan of over 40 years (NatureServe 2014), which helped the species to survive periods of time in the 1930s-1940s when water levels in Pyramid Lake dropped so low that fish could not enter the river to spawn. Today, a fishway and fish elevator at Marble Bluff Dam help Cui-ui pass the dam and go upriver to spawn in the 10-mile reach between Marble Bluff Dam and the Numana Dam (Natureserve 2014). They are currently listed as an endangered species and can’t be fished. Cui-ui (Chasmistes cujus), Marble Bluff Dam, NV. Photo: Kelsey McCutcheon. NatureServe. 2014. NatureServe Explorer: An online encyclopedia of life [web application]. Version 7.1. NatureServe, Arlington, Virginia. Available http://explorer.natureserve.org. (Accessed:November 7, 2014 ).